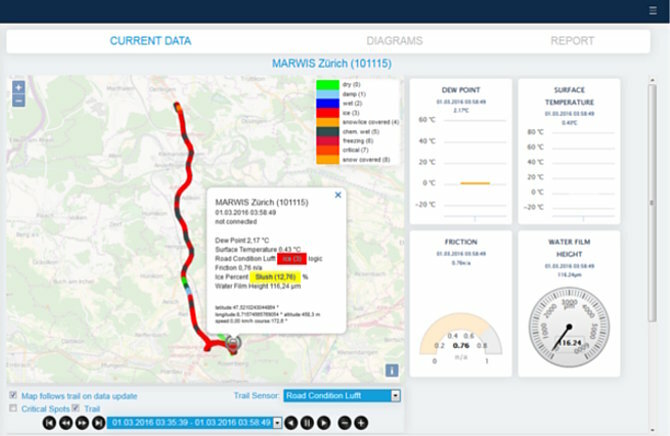 Manage all weather-related information, whether stationary or mobile, with a visualization tool that gives you optimal control of your winter service based on the current circumstances. Your control center can receive all current data from the gritting vehicles in real time for true teamwork between internal and external staff. Always up to date through cloud hosting.